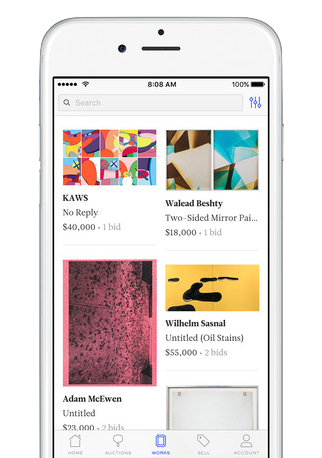 The Paddle8 app, which allows users to bid on and sell works of art and design. The app notifies users about newly available works, provides minute-to-minute alerts for active bids, calculates shipping costs, and more. Courtesy of Paddle8. Auctionata is known as an auctioneer of vintage luxury items and Paddle8 is known for mid-market modern and contemporary art. From your perspective, what are the goals of the merger? There are many goals but the immediate one is to be more competitive and efficient in the online auction market by playing to our respective strengths. Auctionata has a strong European base, whereas Paddle8 has a powerful American one and has also been successful in accessing Asian based buyers in Hong Kong. Together we form a platform of nearly 800,000 registered users worldwide. Further to our complementary strengths is the property we respectively excel in selling. Auctionata does very well with antiques and vintage luxury collectibles such as watches, wine, and cars, where as Paddle8 excels most with post-war and contemporary art. Finally, Paddle8 has a strong brand that appeals to young to seasoned collectors alike, in addition to trade clients. Auctionata has been more successful in tapping into large estates. How will this merger help your Post-War and Contemporary Art Department? The most immediate benefit is access to more buyers. Increasing our client base will inevitably lead to stronger results for our sellers and high seller through rates. In addition to our timed auctions, Auctionata’s livestream technology will also allow us to conduct sales in exciting new and interactive formats. Finally, I would also add that for me—as someone who actively participates in private sales and is based in New York—their Chelsea warehouse is a tremendous asset. I now have a facility where I can easily and discretely show works. We will continue to use our global network of private storage facilities as it makes sense, but this certainly makes things easier on my end for New York based transactions. Auction highlights from the Paddle8 June Post-War & Contemporary Auction. Courtesy of Paddle8. Browse the works included in the Paddle8 June Post-War & Contemporary Auction. The July Post-War & Contemporary Auction begins July 28 and continues through August 11. Clare McAndrew noted a 7% uptick in the online auction market last year with sales totaling $4.7 billion. With sales at Paddle8 and Auctionata totaling $150 million, how will this new merger allow you to garner a greater share of the market? Paddle8 and Auctionata will be able to strengthen their market position by bringing together complementary geographies, collecting categories, and auction formats. Offering this improved product and service portfolio to an increased customer base, while simultaneously benefitting from economies of scale and innovation, will certainly help us to increase our market share and maybe even grow the market overall. It is well known that the large auction houses are actively investing in the online space. With our 5 year head start, sophisticated mobile bidding apps, and online marketing strategies, it’s not really a question of who is the best resource for selling and buying in the online intermediate market: it is simply us. In the greater sense of the market for online art sales expanding—well, that’s just a matter of rising tides raise all ships, no? 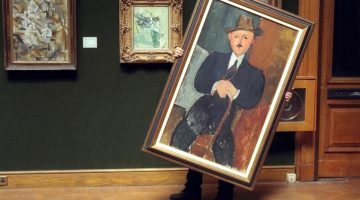 Do you think there will be further concentration of the online art auction business? Absolutely. Equally as I feel this will be the case for art fairs and galleries focused in secondary sales. I am a child of the Silicon Valley—living there for both dot-com booms—so it’s hard not to see some parallels for online art models. I mean last year ArtRank was a thing, now does anyone follow that? From my perspective, we are in a corrective period—both market and business wise. But this is healthy. If you study economics, you realize this and do not bemoan it. You embrace it as necessary and ultimately a period for strategic opportunity. The online art auction market continues to increase while the overall art market contracted last year. Will the online art auction market ever eclipse the bricks-and-mortar auction business? Why do you think so? In the foreseeable future, yes, I believe it is possible in the intermediate market. Especially when you factor in conglomerate sites like LiveAuctioneers and Invaluable. Are their plans for Paddle8 to move to streamed live auctions like Auctionata? The sophistication of Auctionata’s online streaming is the finest in the field. As we climb into the higher price brackets and offer older and more complex work this is an incredible resource we are eager to utilize. 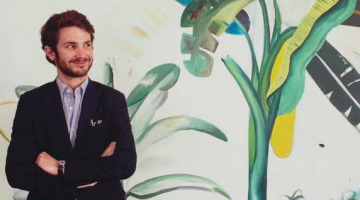 Paddle8 co-founder Alexander Gilkes—with his background in auctioneering and branding—will be leading the charge on this front. He has impeccable taste and his reputation as one of the world’s top auctioneers is undisputed. I can’t wait to see how he integrates this technology in a way that feels on-brand for Paddle8. Upcoming auctions at Auctionata. Courtesy of Auctionata. How will streamed live auctions change the online art auction marketplace? It will increase confidence for buyers and increase sell through rates. Online only auctions naturally have lower sell through rates than traditional auctions. The ability for to simulate a live bidding room experience will inevitably lead to increased bidding and user engagement. According to ArtNews, the editorial department at Paddle8 is losing its director and “is to be scrapped or drastically reduced”. What are the plans for your editorial department? 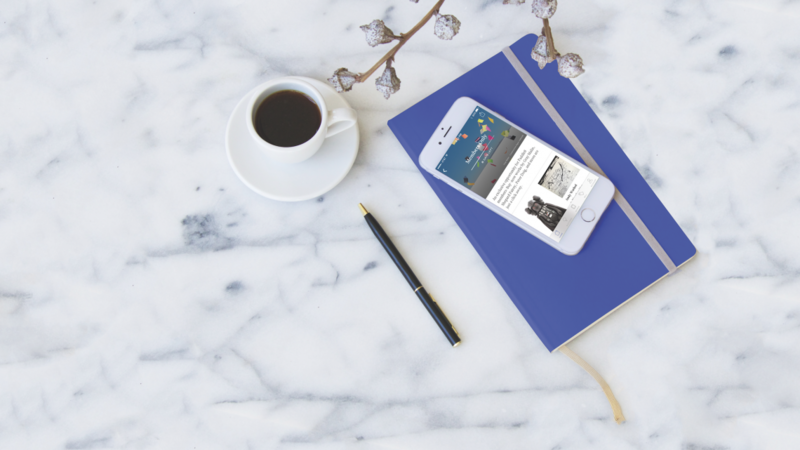 Paddle8 holds a distinct editorial voice separate from our competition. We did this initially by focusing on collector profiles and away from art world gossip pieces, reviews, and market trends. Now with a larger team in place in Europe, the focus will be on how to build meaningful, unique, and coherent content moving forward. As is the case with most mergers, it is important we develop a synchronized editorial voice that sets a new tone for our new company. 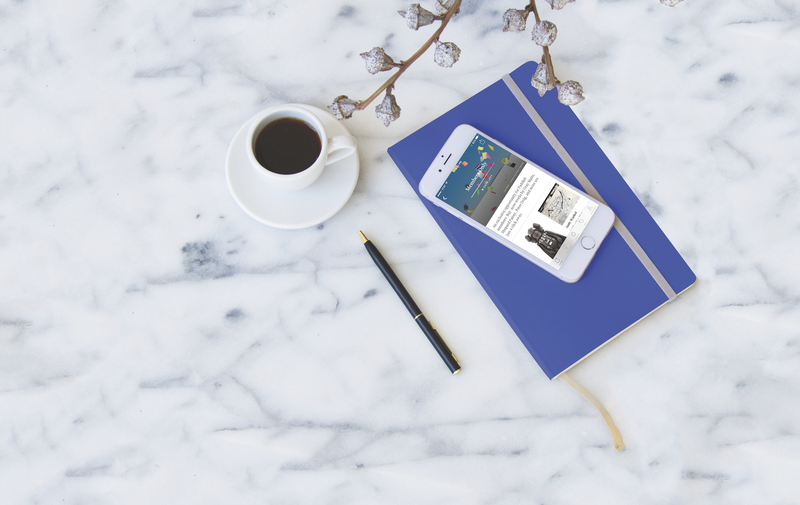 Is Paddle8 rethinking how editorial content relates to online sales? Yes—just as we are re-thinking everything that we feel falls flat in the space of online art sales. Our muses are the innovators of the art and technology worlds. We are not interested in the old guard, we are interested in building the new. Paddle8’s co-founders developed the company with the desire to design a platform and brand that would democratize the experience of buying art. A lofty goal but one we were able to achieve. It sounds a bit offbeat to say but I honestly feel that Paddle8 is the Apple of the art world in terms of its innovation, design, and influence. Think differently—yes we most certainly do. One of the top lots of Paddle8’s upcoming Post-War & Contemporary Art sale this July focusing on Contemporary Figuration. 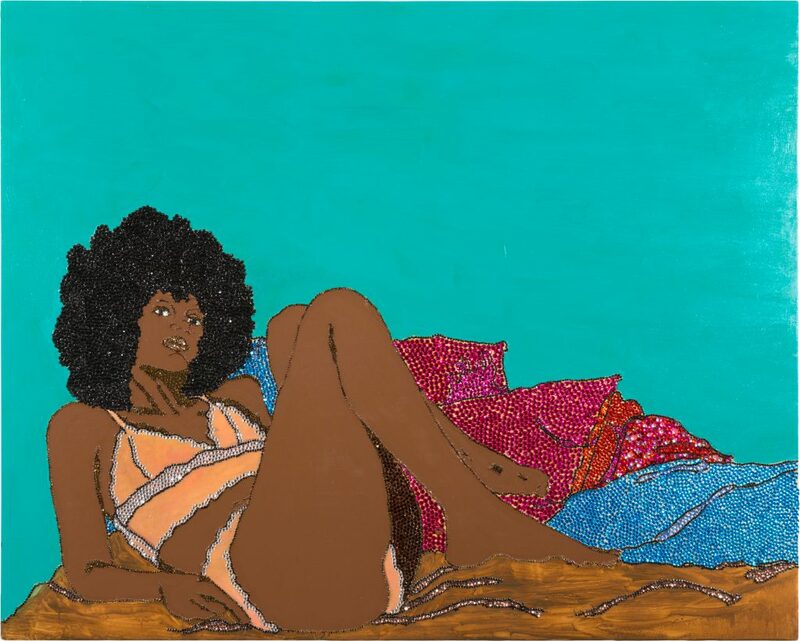 Featured here: Mickalene Thomas, Love, Livin, & Givin, 2004, rhinestones, acrylic, and enamel on wood, 48 x 60 inches. John Zarobell is Assistant Professor and Undergraduate Director of International Studies at the University of San Francisco. Formerly, he held the positions of assistant curator at the San Francisco Museum of Modern Art and associate curator at the Philadelphia Museum of Art. 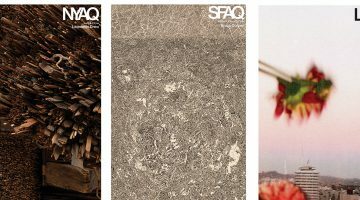 He is a regular contributor to SFAQ and the online journal Art Practical. He has written for numerous exhibition catalogues and has published in Art History, Nineteenth-Century Art Worldwide, and the Berkeley Review of Latin-American Studies. His first book, Empire of Landscape, was published in 2010 and his next, Art and the Global Economy, will be published by University of California Press in March 2017.